Domaine Chante Perdrix dates back to 1896 when the Southern Rhone Valley estate was originally created by Etienne Pecoul. The estate has continued to remain the same family hands today. The vineyards were enlarged when the family added the vines previously belonging to Domaine Perges. Those vines were eventually were annexed into those of Domaine Chante Perdrix through an inheritance. Today, Domaine Chante Perdrix is owned and managed by Frederic Nicolet who succeeded his father, Guy Nicolet. Domaine Chante Perdrix owns 18 hectares of vines located in the southern part of the Chateauneuf du Pape appellation. They have a terroir of rock and stone soils. On average, their vines are close to 45 years of age. 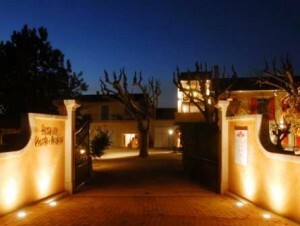 Domaine Chante Perdrix produces 3 red Chateauneuf du Pape wines and 2 white Chateauneuf du Pape wines. Domaine Chante Perdrix Chateauneuf du Pape is produced from a blend of 60% old vine ​​Grenache, 20% Syrah, 10% Mourvedre and 10% Muscardin. On average the vines are close to 50 years of age. The vines are all placed in the les Galimardes and les Serres lieu-dits. The terroir is galets. Vinification takes place in traditional, square, red, cement vats. The wine is then aged on a combination of old foudres, demi-muids and French oak barrels for an average of 9 to 12 months before bottling. The production is on average slightly more than 4,000 cases of Domaine Chante Perdrix per year. Domaine Chante Perdrix Etienne Pecoul is produced from 100% old vine Grenache from a terroir of rocks and stones in the les Galimardes and les Serres lieux-dits. The wine is aged in demi-muid for 9 months before bottling. The wine is named after the founder of the estate, Etienne Pecoul. Domaine Chante Perdrix Henri Perges is made from 100% Mourvedre from the les Galimardes and les Serres lieu-dits, with a terroir of galets. The wine is aged in demi-muid for 9 months before bottling. Domaine Chante Perdrix Chateauneuf du Pape Blanc is made from a blend of grapes that include about 70% Bourboulenc, 10% Clairette, 10% Grenache Blanc and 10% Roussanne. The wine is aged in a combination of 15% new, French oak barrels and stainless steel vats for about 6 months. Close to 500 cases of Domaine Chante Perdrix Blanc are produced each year. Domaine Chante Perdrix Cuvee Clairette Blanc is as the name sounds, one of the few Southern Rhone wines made with using 100% Clariette grapes. The production for this cuvee is quite small, making it very hard to find at retail. Chante Perdrix can be enjoyed on the young side. Young vintages can be popped and poured, or decanted for about 1 hour. This allows the wine to soften and open its perfume. Older vintages might need very little decanting, just enough to remove the sediment. Chante Perdrix is usually better with 2-4 years of bottle age. Of course that can vary slightly, depending on the vintage. In the best vintages the wine should be consumed within 3-10 years after the vintage. Domaine Chante Perdrix is best served at 15.5 degrees Celsius, 60 degrees Fahrenheit. The cool, almost cellar temperature gives the wine more freshness and lift. Domaine Chante Perdrix is best served with all types of classic meat dishes, veal, pork, beef, lamb, duck, game, roast chicken, roasted, braised, stewed dishes, sausage, barbecue and cassoulet. Domaine Chante Perdrix is also good with Asian dishes, hearty fish courses like tuna, mushrooms pasta, eggplant, tomatoes and cheese. Flowers, pepper and ripe, sweet kirsch start things off. The wine is silky, fresh, elegant and supple. The finish leaves you wanting more of this beauty with all that ripe, juicy, red fruit in the finish. Deep, dark and intense, the wine is full bodied and intense. There is power here, and so are the tannins. But the dark red, peppery, spiced fruit is perfectly ripe, definitely fresh and there is a lot of spicy character here in the long mid palate and finish. It will need time in the cellar to soften however, so be prepared to exercise patience. The wine was produced using 100% Mourvedre. Fresh, juicy, spicy, and sweet, spicy, peppery, dark red fruits, forward in style, with loads of sweet, fresh berries in the finish. Luscious textured fruit, with layers of ripe, red berries, herbs and thyme to round things out. Long, fresh and with depth of flavor, finishing with ripe, juicy kirsch and garrigue in the endnote. This is my first time with this cuvee and I am already wanting to taste this 100% old vine Grenache wine next year. A touch of wood on the front end brings you to a round textured, fleshy, deep wine with dark, sweet, black cherries, pepper and raspberry in the finish. The wine was produced using 100% Mourvedre. Give this some time in the cellar, as it might come develop more complexities and nuances warranting a higher score. Spicy, peppery red fruits, forward in style, with ample, juicy kirsch in the finish. The wine was made from blending 80% Grenache, 15% Syrah and 5% Mourvedre. Peppery, fresh, sweet and silky, with a forward, easy drinking, black raspberry charm and good freshness in the medium bodied finish. Forward, medium bodied, lighter, fresh, early drinking, kirsch dominated style of wine. This is not a vintage for cellaring. It is quite a nice pop and pour for current consumption. It’s easy to like this fun, forward, fresh, ripe, spicy, plush, round wine. Medium bodied, soft, forward and offering its pleasure with little effort today, the wine is on the fresh, sweet, cherry and wild strawberry side of the style range.